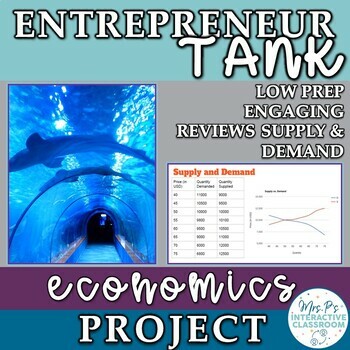 This project will engage your students as they further explore the main topics of the supply and demand unit in Economics! 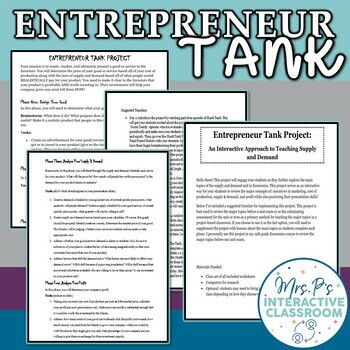 This project also serves as an interactive way for your students to review the major concepts of: incentives in marketing, cost of production, supply & demand, and profit while also practicing their presentation skills! This project is best used to review the major topics before a unit exam or as the culminating assessment for the unit or even as a primary method for teaching the major topics in a project-based classroom. If you choose to use it as the last option, you will need to supplement the project with lessons about the main topics as students complete each phase. I personally use this project in my 12th grade Economics course to review the major topics before our unit exam. Don't forget to come back and review this product to earn TPT credits! These credits can go towards future purchases!